Photos from 2016 fashion showcase. The event is open to WSU Tri-Cities students, faculty and staff. 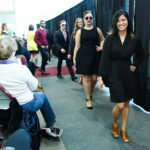 Outfits will range from what students should wear to an interview, to how to build a wardrobe, to cocktail and formal attire. 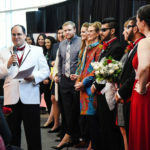 Following the fashion show, students will enjoy free pizza and soda, hair and make-up consultations and a tie tying station. Students may also enter to win door prizes. 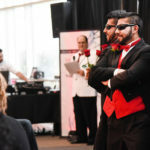 The event is presented by the WSU Tri-Cities Career Development office and sponsored by Macy’s, Mary Kay, Paul Mitchell The School Richland, Platinum Entertainment, Dawson Richards, Papa John’s and the Associated Students of WSU Tri-Cities. For more information, contact career development at 509-372-7600 or careers@tricity.wsu.edu.